London-based student Sadhna Prasad, 23, has become one of ten female students to have her artwork featured on a giant billboard in New York, as part of a global competition hosted by Adobe and Colossal Media – The World’s Biggest Student Art Show. Originally from Mumbai, Sadhna recently completed a Masters in Illustration at the Camberwell College of Arts. She entered the competition after seeing it on the Behance platform, which she frequently visits for inspiration and to explore freelance opportunities. 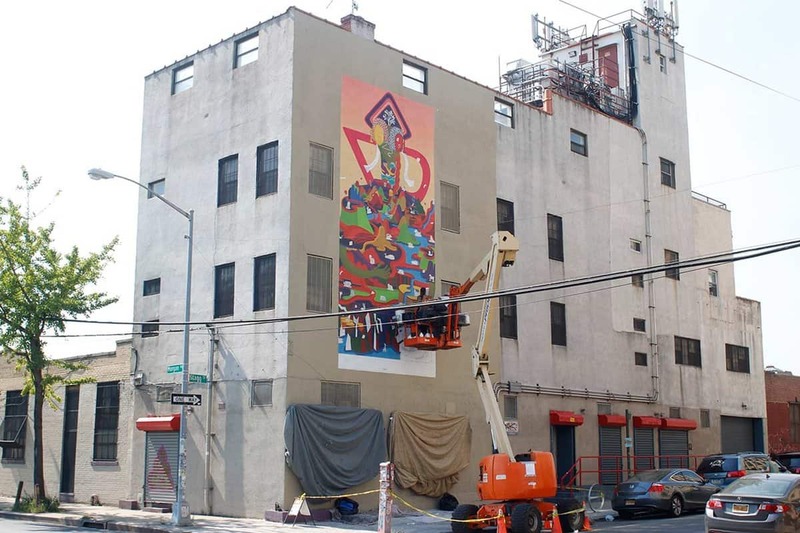 The competition gave ten female creatives from around the world the chance to have their work featured on a series of giant murals in Bushwick, Brooklyn, as a means of empowering and elevating women, who are historically underrepresented in the creative industries. Students were tasked with coming up with a design themed around a unique perspective of the world, and Sadhna’s winning design showcased a parallel fantasy world, based around the idea that all existence lives as equals and in harmony. 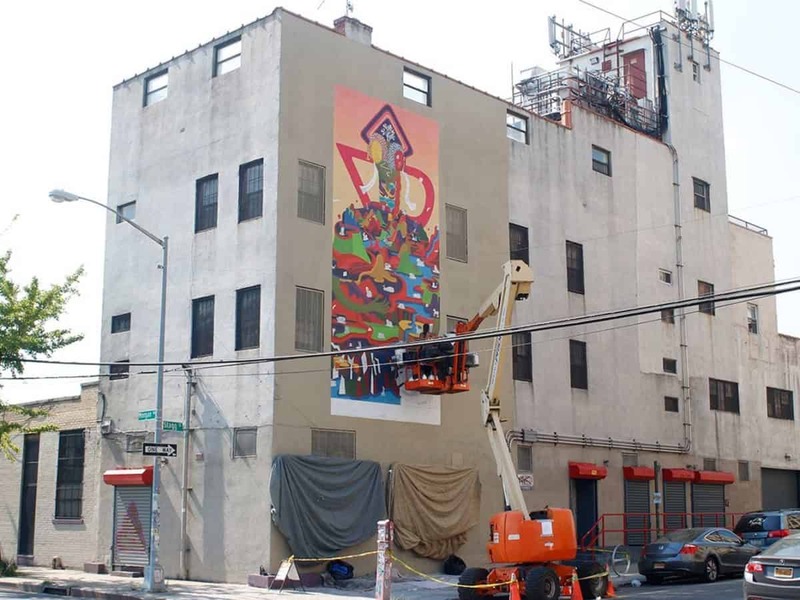 Each wallscape in the all-female outdoor exhibit was made using Adobe Creative Cloud mobile and desktop products, and was hand-painted by world-renowned mural and outdoor advertising company, Colossal Media.